The AMX-30 Crew. The AMX-30B’s crew consisted of four men, and it followed a conventional layout with the driver at the front left, the fighting compartment in the center of the tank and the engine and transmission at the rear of the vehicle. Most of the men in the Arme Blindée Cavalerie (or ABC as it was usually abbreviated to) were appelés; or conscripts. In the early days, armoured regiments differed in how they approached how to deploy their professional and conscript soldiers with the new tank. Some regiments only employed professional soldiers as tank commanders and NCOs in their armoured squadrons and employed conscript gunners and loaders. Conscripts selected for promotion in these cases could more often be found in the escadron porté or the escadron de commandement. Conscript junior officers and non-commissioned officers eventually became more common in the armoured squadrons as time passed. In the early days of the AMX-30’s service some regiments only used regular soldiers (engagés) for crew commanders and as drivers. The first escadron to get the new tanks in a regiment was a matter of the regimental commander’s choice. 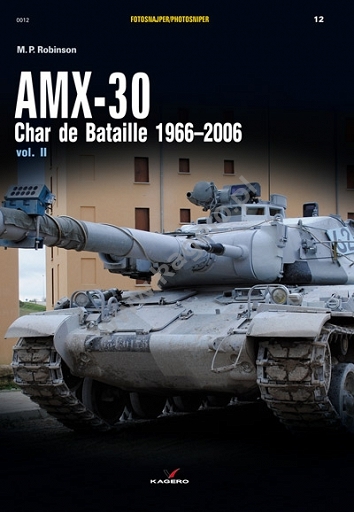 The 5e Regiment de Cuirassiers received sufficient AMX-30B in the spring of 1969 to re-equip an escadron previously serving on AMX-13 SS11 light tanks. By the latter years of the AMX-30B’s service in some regiments only the senior non-commissioned officers and officers in an armoured regiment were professional soldiers. This came about as a result of the creation of a specialised conscript category in 1975 to provide a regular supply of specialised personnel in key roles. The new category was entitled engagé volontaire spécialiste, with driver or gunner specialization. The new category was embraced to varying degrees within the regiments of the ABC. All crew received two months of basic training known as Formation Élementaire Toutes Armes (FETTA), after which drivers were sent to the (CIABC = Centre d’Instruction de l’Arme Blindée Cavalerie), near Marseille at Carpiagne for specialisation training. Gunners received their gunnery courses at the Corps de Troupes level (with their regiments), or at Carpiagne with further training conducted within their regiments. The loader-operator (radio-chargeur or Romeo Charlie in French) followed a similar path, with much of the training being conducted in the regimental training cadre or escadron d’instruction, which was tasked with streaming suitably trained young conscripts into the escadrons for inclusion into the tank crews. Each peloton was commanded by a sous-lieutenant or a lieutenant but this too was subject to some variation, depending on the regiment. A senior non-commissioned officer, or a junior officer, would serve as a second in command known as a sous-officier adjoint (or SOA). The ideal norm expected to be established was to eventually use conscripts for all crew positions, although the reality of crewing the tanks always differed between the various regiments of the ABC. As in any tank, the AMX-30B commander had to conduct engagements, maintain communication with the rest of the peloton and be responsible for his tank and the lives of his crew. The TOP-7 cupola gave the commander a panoramic view, and it incorporated a binocular M267 sight as well as ten M248 observation periscopes. With operations at night being accorded great importance, the commander would swap the binocular M267 sight for an infra-red OB23A sight. The TOP-7 could contra-rotate and the commander could line up the main armament on any target he observed. Asides from his cupola machine gun, after the introduction of the fully automatic 20mm CN20 F2 co-axial armament in the mid-1970s, the commander was expected to conduct any anti-aircraft engagements from his cupola due to its panoramic view. The main design purpose of this weapon on the AMX-30 series was as an anti-helicopter weapon system, but otherwise it was usually employed in the same manner as the 12.7mm co-axial weapon had been. With the ability to penetrate 15mm of armour at 1000 meters with armour piercing ammunition, or to fire high explosive rounds, it would have served admirably as a weapon against armoured personnel carriers or against infantry. The AMX-30B’s entrance into service took place in spite of the original transmission’s obvious weakness and complexity, and the first armoured regiments equipping with the new tank addressed this by using experienced drivers. The 1e Régiment de Cuirassiers took a draft of fifty four engagés from Carpiagne as drivers in 1969 when the new AMX-30Bs arrived. Once the new tanks were in service the conscript drivers gradually took over. The AMX-30B was driven with two levers much like the wartime tanks, a step backwards from the relatively luxurious driving arrangements in the M47 Patton. The AMX-30B’s driver had the hard task of mastering manual gear changes, and the various drivers’ drills required to minimise wear on the transmission. The 5-SD-200D transmission incorporated five forward speeds and five reverse speeds and required close attention to the engine RPMs for gear changes. Driving the AMX-30B was still easier than the AMX-13, which had an even more demanding gear changing procedure to master. Once a driver had the feel for the gear changing process, the AMX-30B eventually endeared itself to most of its drivers. 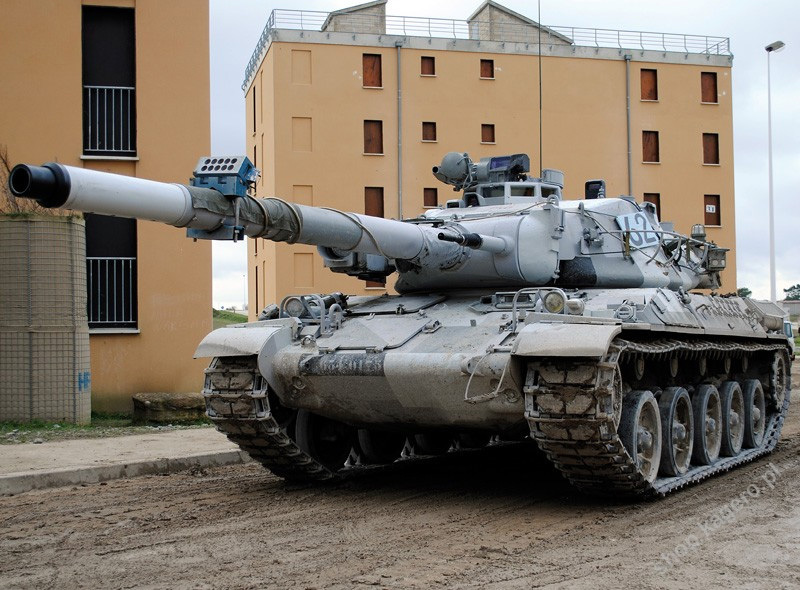 The training center at Carpiagne maintained a small fleet of driver training tanks without turrets, in order to ensure that conscript tank drivers could be provided with the best possible training for this task. These training tanks allowed the instructors to regularly change drivers throughout a training session. The CIABC also kept a fleet of regular AMX-30B gun tanks to train the drivers in maneuvering the tank with its long gun in confined spaces and to learn to steer the tank without banging the main armament into trees or buildings. Conscript and volunteer drivers alike were trained at Carpiagne. With the requirement for night time operation and combat the driver was expected to master driving with the use of infra-red periscopes. The driver had to always be mindful of the turret position, and to engage his hydraulic traverse cut out switch when driving head out, because sudden traverse with the gun depressed could cause the driver serious injury. In combat the driver would have stood little chance in the event of a close range hit on the front of the hull resulting in penetration of the glacis plate, with half the tank’s main armament ammunition and some of the diesel fuel stored to his immediate right. The intention of the design was to maximise the use of the AMX-30’s high power to weight ratio to permit quick accelerations from position to position, which in essence became the driver’s main responsibility. The driver and other crew members could also be expected to be trained for submerged river crossings. These began with specially constructed cisterns and graduated to actual crossings of large ponds and eventually river beds. The experience must have been best described as frightening in a tank with as many reliability problems as the early AMX-30B. The AMX-30B was built from the assembly line as a sealed unit, and preparing the tank for submerged crossings was a simple task included within the tank’s design parameters from the start. The Arme Blindée Cavalerie eventually developed a complete doctrine for submerged crossing by armoured regiments, with a well versed training organization to support every aspect of the submerged crossing process. A crossing was always assisted by engineer divers with a communications officer from the bank. The divers were known as Plongeurs d’Aide de Franchissement, or PAFs, and were tasked with identifying suitable fords and crossing points. PAF divers were elite troops drawn from the corps of engineers, who were often parachute qualified. To them fell the task of assisting stranded submerged vehicles and assuring their safe recovery. The PAF divers were trained to rescue crewmen from stranded vehicles. During a crossing, a PAF team floating above the crossing area in a zodiac provided a running commentary of the submerged tank’s progress, and submerged crossings were always supported by a recovery team to winch any breakdowns out immediately with an AMX-30D. The main risk during submerged crossings was always engine failure, which could happen if water was aspirated by the engine through any leaks in the various hatch seals that assured the impermeability of the engine compartment. The exhaust pipe covers were another point where water could easily find a way in, with consequent risk of drowning the engine.